Crankworx is mountain biking’s version of the Olympics, Superbowl, Nathan’s Hot Dog Eating Contest… the Scripps National Spelling Bee, the FIFA and/or Quidditch World Cup. The best thing is that it now happens four-times-a-year from locations around the world. 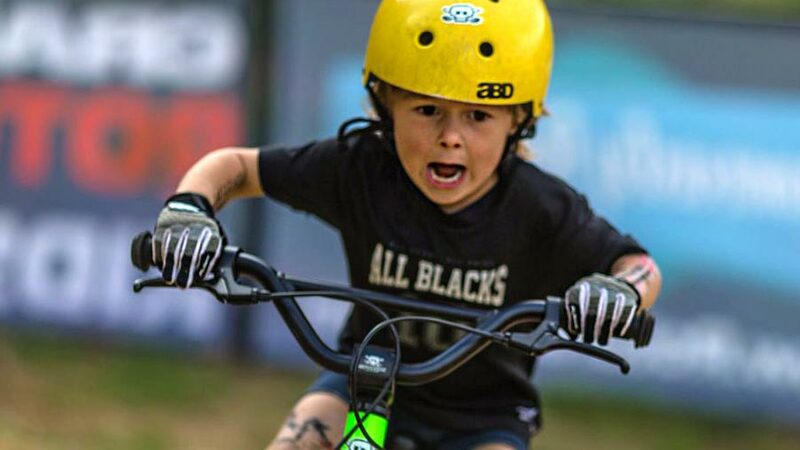 We’re fortunate enough to have a family share their first-hand story from Rotorua, New Zealand – the first stop on the 2017 Crankworx World Tour. Events just a stone’s throw away from the Shire took place from March 24th through April 2nd. 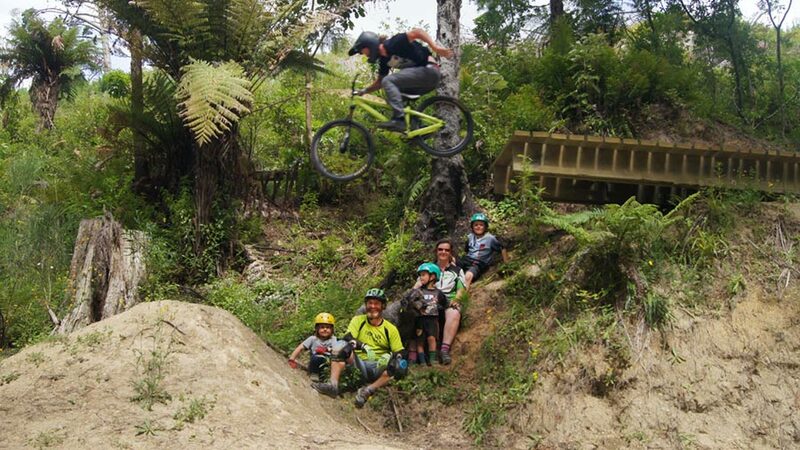 The Griffin family with furry friend pose for a photo at the always active Dodzy Skills Park in Rotorua, New Zealand. Can you see how this family rolls? Mountain biking together, eating healthy during road trips, books on tape. Many of us are striving to keep up with the Griffins in more ways than one. 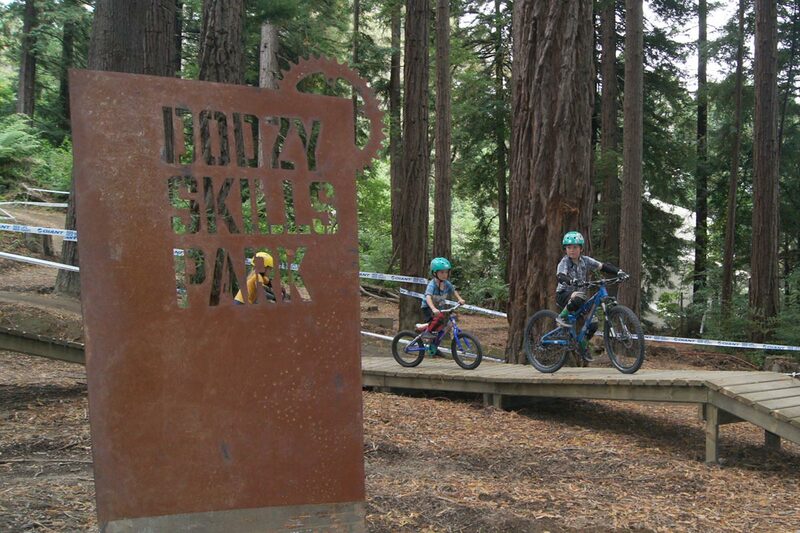 At the southwest end of Long Mile road on the edge of the Whakarewarewa Forest – you’ll find the Dodzy Skills Park. 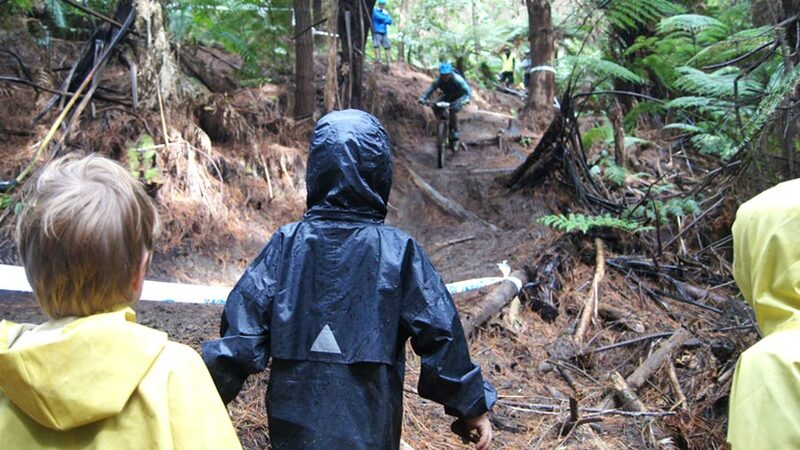 This area was built in memory of James “Dodzy” Dodds, a mountain bike enthusiast who was a trail builder and pillar of the Rotorua outdoors community. 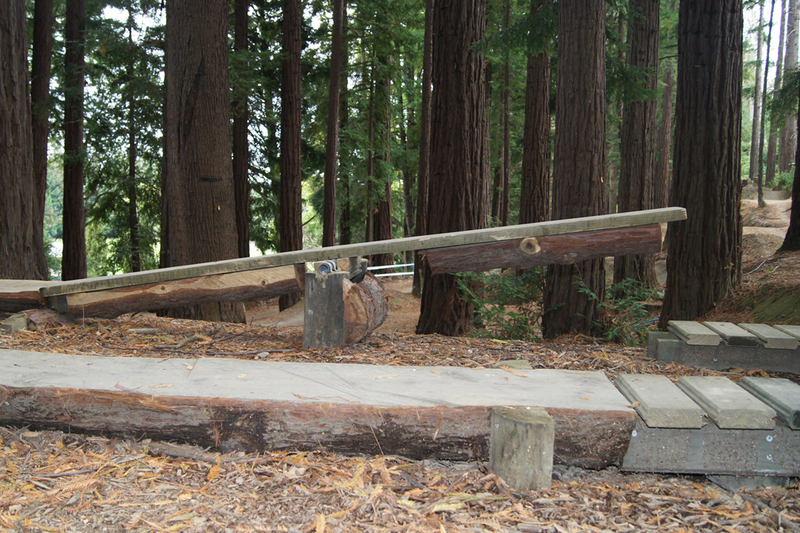 The park features intermediate and advanced jump lines, a see-saw, and other features. The Griffins spent a good deal of time here during the week as it’s a wonderful venue for riders of all abilities to build their skills. The skills park also hosts the widely enjoyed but greatly under-publicized 16″ Dual Slalom World Championships. 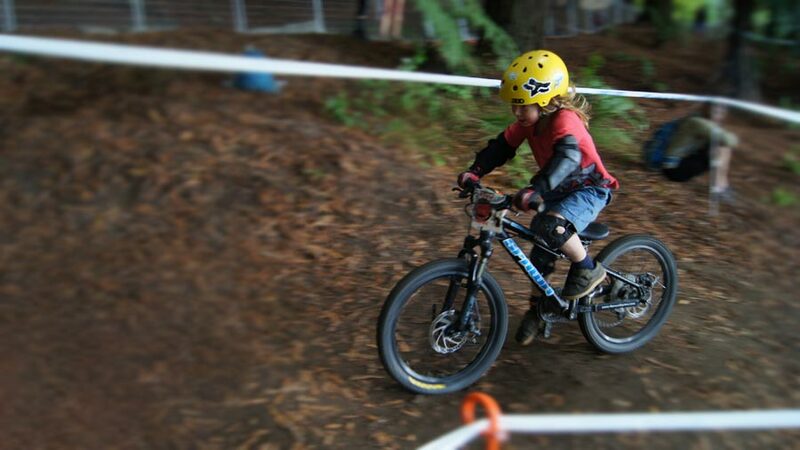 This event is where professionals and amateurs alike test their talents at the park’s DS track on kid bikes with 16-inch wheels. On the first Saturday of the festival, the Griffins hiked up a trail to watch the Toa Enduro race. 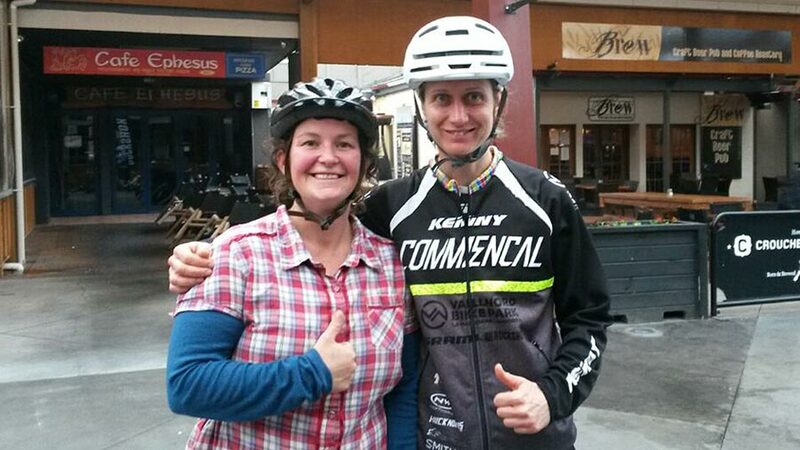 Claire attended a wheelie workshop for women led by the prior day’s EWS winner Cecile Ravanel. Cecile won the race in very wet and muddy conditions by over three minutes. And, Claire proudly admitted she rode a wheelie for three revolutions. Year after year, everyone wins at Crankworx. 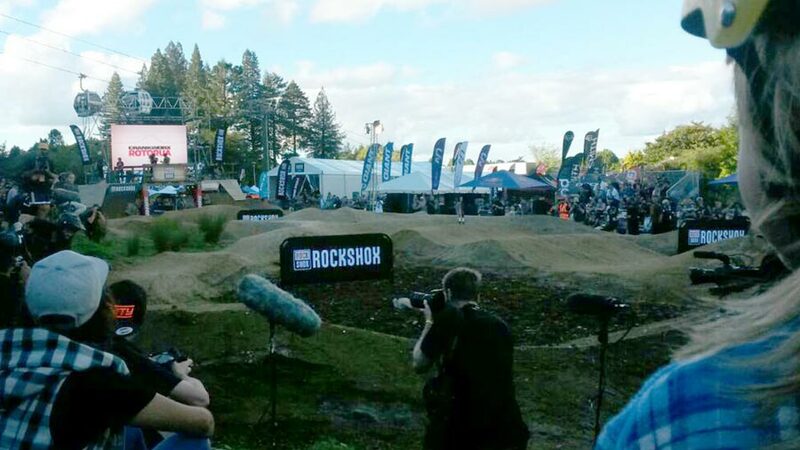 The Rotorua Mountain Bike Club hosted a “low key” Super D race one evening. Over a 100 riders turned up and they had a Santa Cruz 5010 frame to give away. 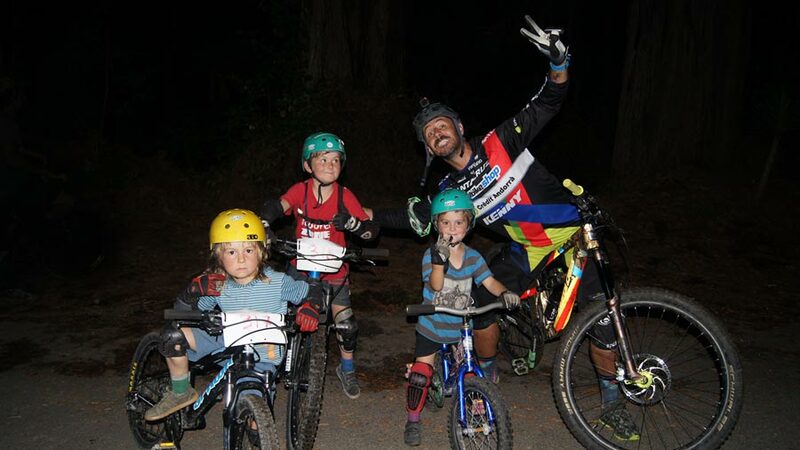 The Santa Cruz Team showed up for the race and Cedric warmed towards the boys. 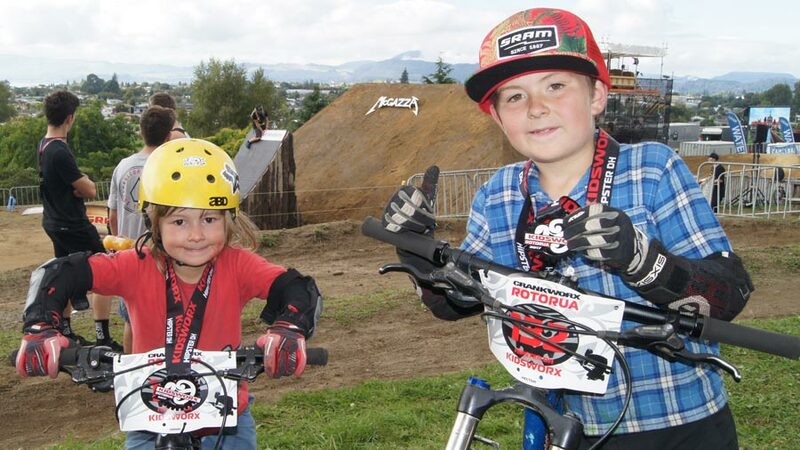 The Griffin family was rooting for local rider Keegan Wright to do well at the RockShox Pump Track Challenge. They got what they wanted as Keegen beat perennial favorite, Adrien Loron. 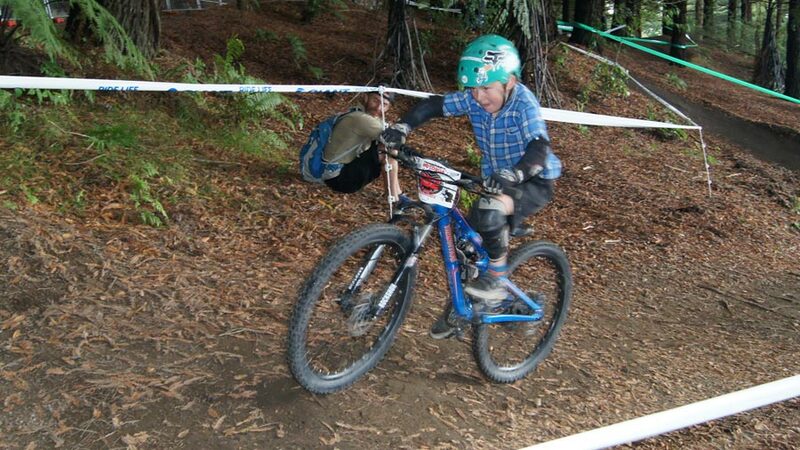 About Mountain Biking With Kids Survey – How Does Your Family Roll?